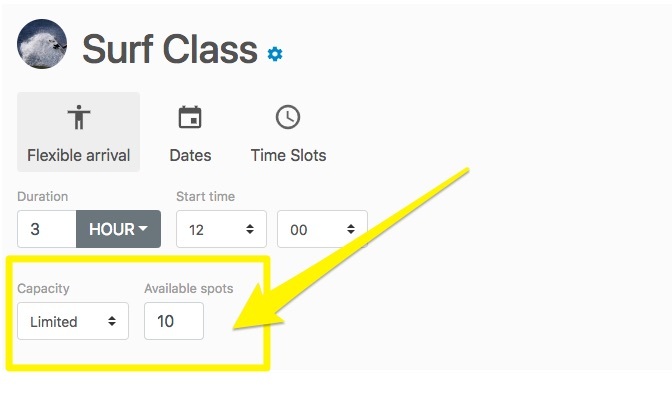 If you select Limited, you can specify the maximum number of available spots. In this example, the available spots were set to 10. 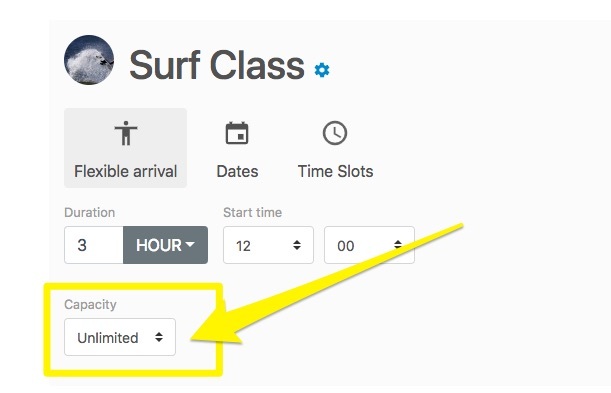 This means that Bookinglayer will not allow more than 10 people to book this activity on the same day/session. If you select Unlimited, there will be no restrictions for how many bookings you can receive for this activity on the same day. Please note that these capacity settings do not have any effect when the activity is used as a package item.